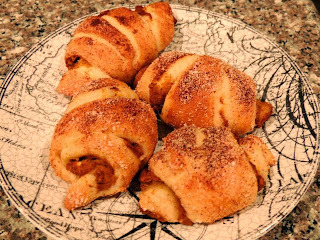 Mix the Splenda, cinnamon, nutmeg, ginger and cloves in a small bowl. Transfer half of the spice mixture to a medium bowl. In the medium bowl, add the pumpkin and cream cheese. Beat together until smooth and fluffy. About 5 minutes by hand. 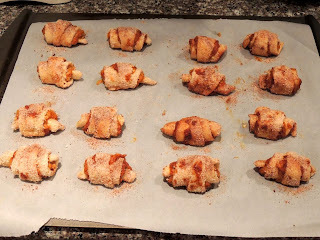 Roll out the crescent rolls on a parchment paper lined cookie sheet. Cut each roll in half lengthwise. Spread about a teaspoon* of the pumpkin mixture on each crescent and roll up. 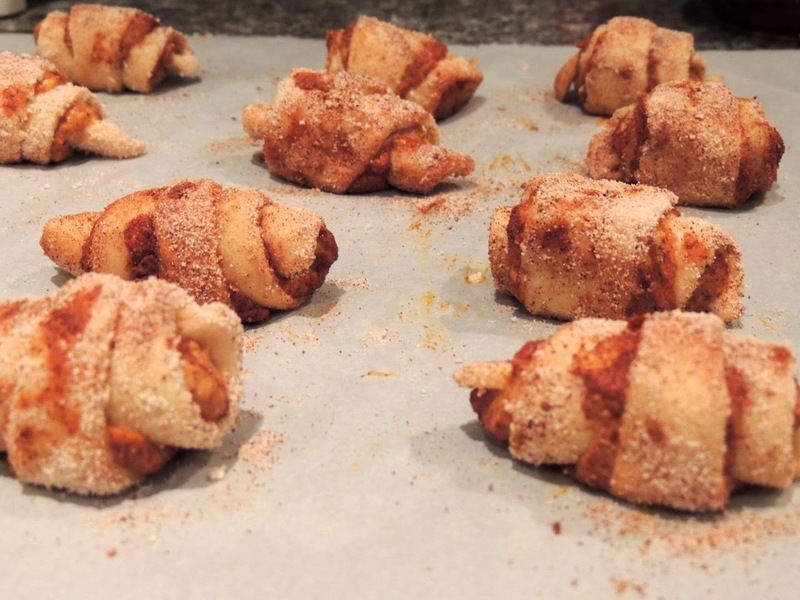 Roll each rolled up crescent in the reserved spice mix and return to the cookie sheet. Bake at 375 for 10 minutes. Let cool slightly before eating. 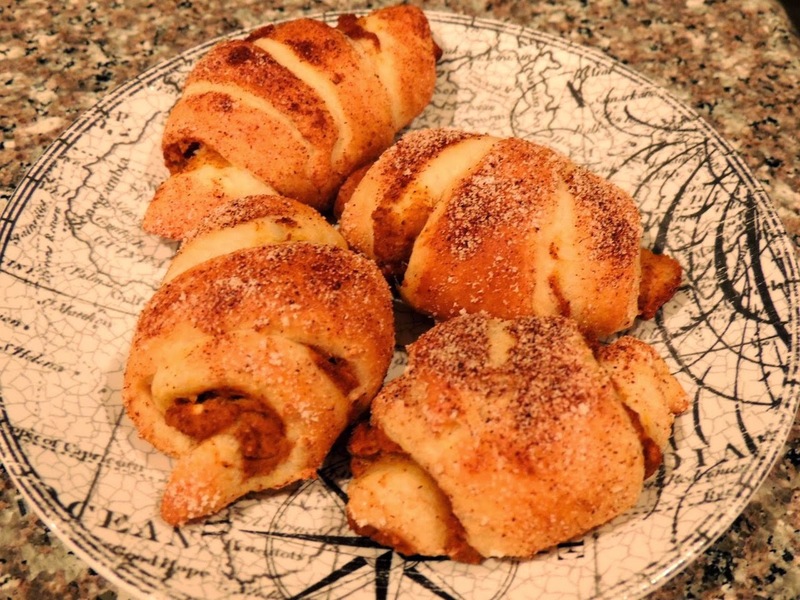 *I used a generous teaspoon of pumpkin mixture on each crescent, and I had about 2 extra teaspoons worth of pumpkin mixture left in the bowl when I was done. 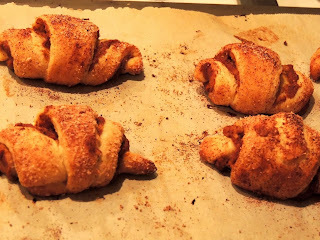 My husband and I found these highly addictive. They only have about 60 calories each, so I didn't feel too bad about eating 6 of them. Like I said, they're highly addictive! They're also great with your favorite fall-flavored coffee. I made salted caramel café au lait for us to drink with them. It definitely tasted like fall! Today, we reheated the leftovers for a few seconds in the microwave, and they tasted even better than they did yesterday! The microwave made them taste doughy, which I love.